I was thrilled to work with ShopStyle for the first time this week at The Osprey located inside of 1 Hotel Brooklyn this week! 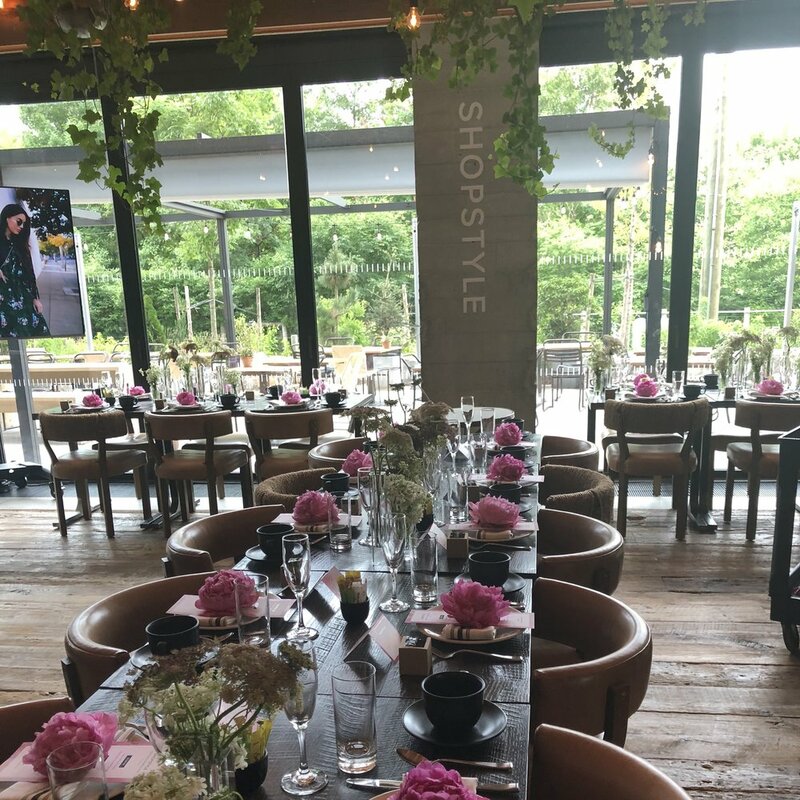 The event was a beautifully executed brunch to celebrate ShopStyle's partnerships throughout the years. 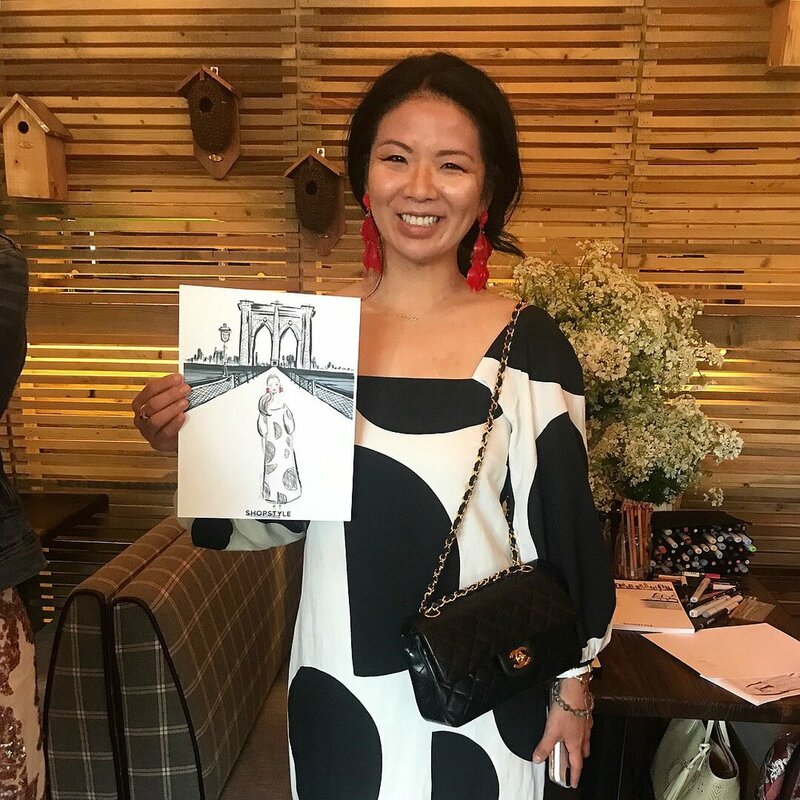 Guests could pick from 1 out of 2 backgrounds representing either the Brooklyn Bridge or a Rooftop overlooking the NYC skyline. I pre-illustrated the backgrounds and added in logo in advance. This was fitting considering the venue location and hotel that is known for its stunning rooftop views! I attached a few photos from the event. Note, that my live sketches are done in 5-7 minutes each! Hope you enjoy! My blog name See Me Dee originated from my knickname Dee. People always comment on my long lashes hence the eyelashes on the e's. The cat is my logo which I designed in honor of my cat Suess. She is very special to me and wanted to include her in my work. Another @carolinaherrera x @purewow Good Girl Fragrance launch! Guests got 2 background options and it ended up being about 70% people that chose #GoodtoBeBad and 30% #GoodGirlCHNY 😂 Can you guess which one this was? I joined @purewow + @carolinaherrera pop-up all day to celebrate their fragrance launch #GoodToBeBad #GoodGirlCHNY Guests could pick their #GoodGirl or #BadGirl background. From their I customized each sketch to match attendee!